So. It’s 10.30pm, you just need to send one email and guess what, the home wifi is jumping: “The page you requested cannot be displayed”. You switch everything off and on including the fridge but it still won’t log you onto gmail long enough to send a bloody email. What to do? Thwack the wall with a chair leg? Spend half an hour on the phone to a polite but bored call centre worker who essentially tells you to switch it off and on again. Or swap internet provider and buy a new router. Well, I always resolve to do the latter, but rarely get round to it providing it’s working at least temporarily by the next morning. There are multiple things that can go wrong with home wireless networks. And in any given situation it could be any of them. 1) Plug the lead directly into your computer to check if the internet is being piped into the home correctly. If it works fine, the network provider is not the problem. 2) Does your computer pick up other wifi networks okay, in the office etc? If so, it’s the not the wifi connector on your laptop that’s the problem . 3) If the signal works in the same room as the router. It could be that the connection speed you are paying for is too weak or the router just doesn’t have enough muscle to cover the full house. If it’s not working at all, it’s time to tackle buying a new router. 1) Know your internet connection speed and what type of connection it is. Is the internet coming through a Dial-up, ASDL connection or a cable connection? Hunker down and look at where the internet connection comes into your house. Dial-up connections straightforwardly use the phone line, they are quite slow, but cheap. You can’t use the phone line while the internet is connected. Broadband connections are much faster and usually come over one of two types of connection: ASDL which splits the phone line in two and lets voice and internet data travel through it; and cable – this is one of the fastest connections, but only available where the network companies have cables running through the streets, usually in cities. Make sure the router you chose matches the connection you have. 2) Go for a decent brand name. There are six big names: Netgear, Belkin, Linksy, D-Link, Buffalo and Cisco. They all have a range of differently powered and featured devices. Computer companies Asus and Apple also make wireless routers. Sometimes network providers: aol, Virgin will offer their own branded ones to customers too. 3) More expensive routers won’t necessarily give you faster internet. Beyond a certain point, more expensive routers don’t necessarily give you faster internet, they just start giving you more features, like parental controls for blocking certain sites or Traffic Prioritizing. Often not that necessary. 5) Single Band v Double Band. Okay, let’s talk about bands. 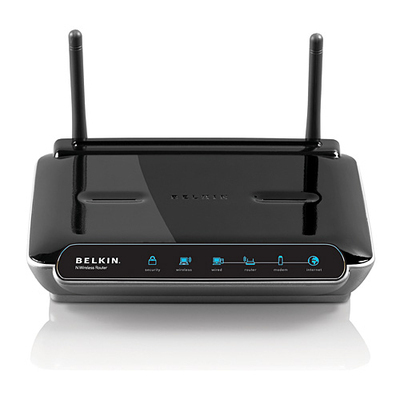 Simple routers – good for average home use, are often single band and transmit wireless data at 2.4Ghz. Dual band routers can transmit data at either 2.4Ghz or 5Ghz. If you want to do more intensive back-forth stuff like gaming or file sharing, go for the dual band ones which cost a little more. The 5Ghz channel will allow better for the intensive throughfare. The dual band router can be better too if you have a mixture of old and new laptops and devices connecting to the network. NB: Routers and ReRouters are the same thing. I am using this wireless device i like it.